Italian writer, curator and artist Alfredo Cramerotti will give an introduction in his book “Aesthetic Journalism: How to Inform Without Informing”. Recognising the “blurring of margins between artistic and information practices” as a main feature in contemporary culture, Cramerotti sets out the Who, What, Where, When and How, and Why of Aesthetic Journalism. Cramerotti identifies this “’investigative approach” in contemporary art and photography as the use of fieldwork, reportage, interviews, document analysis, graphic mapping and information distribution. He cites a number of artists who employ these strategies: Hans Haacke, Martha Rosler, Lukas Einsele, Laura Horelli, Renzo Martens, Alfredo Jaar, Renée Green, The Atlas Group/Walid Raad and Bruno Serralongue. For Cramerotti, Aesthetic Journalism implies the critical use of documentary techniques and journalistic methods where the medium itself undergoes questioning. He posits that aesthetics, understood as a “process in which we open up our sensibility to the diversity of the forms of nature (and manmade environment)” can open up the mechanisms of art and media to expose the limitations of photojournalism, documentation and the ethics of representation. 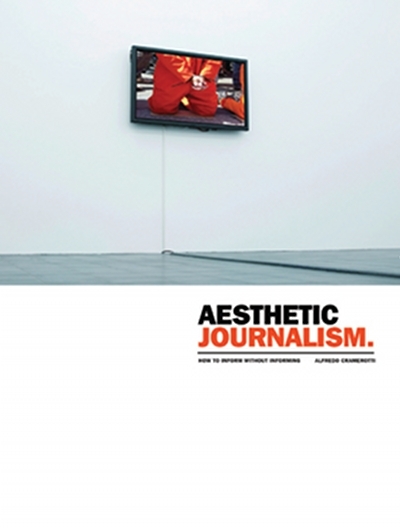 In doing so, Aesthetic Journalism renders productive readings of reality, information, fact, fiction and objectivity. The concepts outlined in the book have been a key tool in the development of the Chamber of Public Secrets’ curatorial approach for the 8th edition of Manifesta, the European Biennial of Contemporary Art: Manifesta 8 taking place in the region of Murcia, Spain.